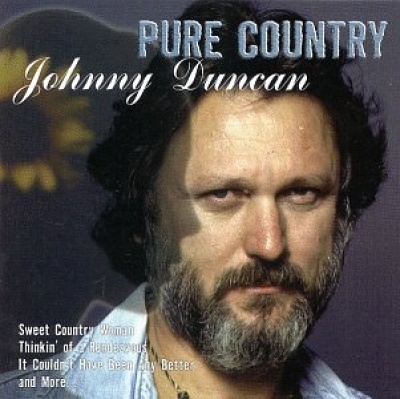 Sony Special Products' Pure Country is an effective sampler of Johnny Duncan's work for Columbia Records in the '70s. In fact, in many ways it works as a hits compilation, since every one of the featured songs -- "Sweet Country Woman," "Stranger," "Thinkin' of a Rendezvous," "It Couldn't Have Been Any Better," "Come a Little Bit Closer," "A Song in the Night," "She Can Put Her Shoes Under My Bed (Anytime)," "Hello Mexico (And Adios Baby to You)," "Slow Dancing," "The Lady in the Blue Mercedes" -- was a Top Ten country hit for Duncan. Because of that, Pure Country is more than just a good bargain for a budget-line collection -- it's a good bargain in general.